How accurate is this? Just happened to stumble upon this today and thought it was a believable representation of what they might look like. Is that supposed to be a video? Not really mine. Nose was completely different and that’s obviously a prominent part of the facial make up so not for me. Rest is of course pretty accurate but it kind of is always going to be, dark skin, dark hair etc, big kind of mouth too which is interesting on this pic also. Nose ruins the picture for me where real similarity to what I saw is concerned. 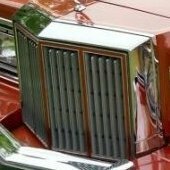 No - just an image. I guess it could be a screenshot of a video someone made. @BobbyO, where can I read your description of what you saw? I'm sure I have already at some point but it's hard to remember who saw what. I haven’t got an official write up type thing Nathan to be honest, wrote about it a few times in here. Pretty sure I sent a lengthy email to Shane a few years back so will try to dig that out and send it to you..
Just make sure you send it to me and not Nathan. 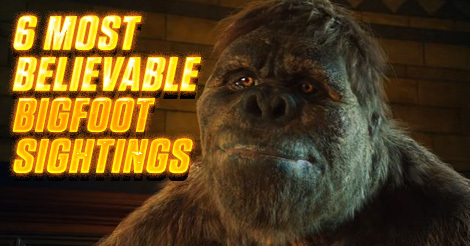 Bigfoot has a hooded nose like us, and not like a great Ape. Good call. My pic also looks very ape, less human. You'll want to hear from Nathan on this though. He had a very close, unambiguous sighting. His story is here somewhere, along with a well done drawing of what he encountered. It appears to be the video that your screenshot comes from. At any rate the image you posted is in the video. Got it. I didn't watch it entirely. Was just skipping around to random moments. Good call. My pic also looks very a﻿pe, less human. I'm not sure I'd say this. Regarding your picture, hopefully without offense, I'd just say cartoonish. To my eye it captures the essence of Roger Patterson's little clay bigfoot statue. 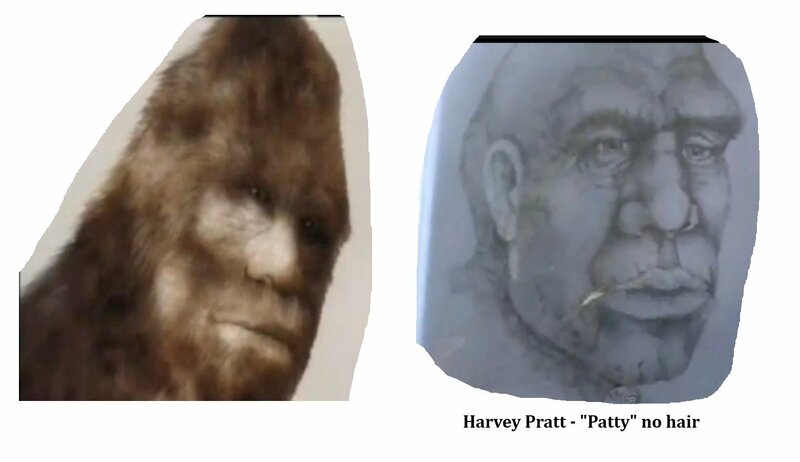 Here is forensic artist Harvey Pratt's rendition of Patty minus the hair ( swiped from Google images, attributed to the Bigfoot Field Journal there ) The only thing I find missing in Harvey's drawing is the wrinkles at the bridge of the nose. If you look at the cover art for Enoch or DWA's old avatar, you'll get what I mean. It's partly obscured by hair so it's reasonable for Harvey to have missed that detail. I wouldn't call that "ape". Not particularly attractive but a darn sight more human than chimp-like or gorilla-like.